Hi everyone! 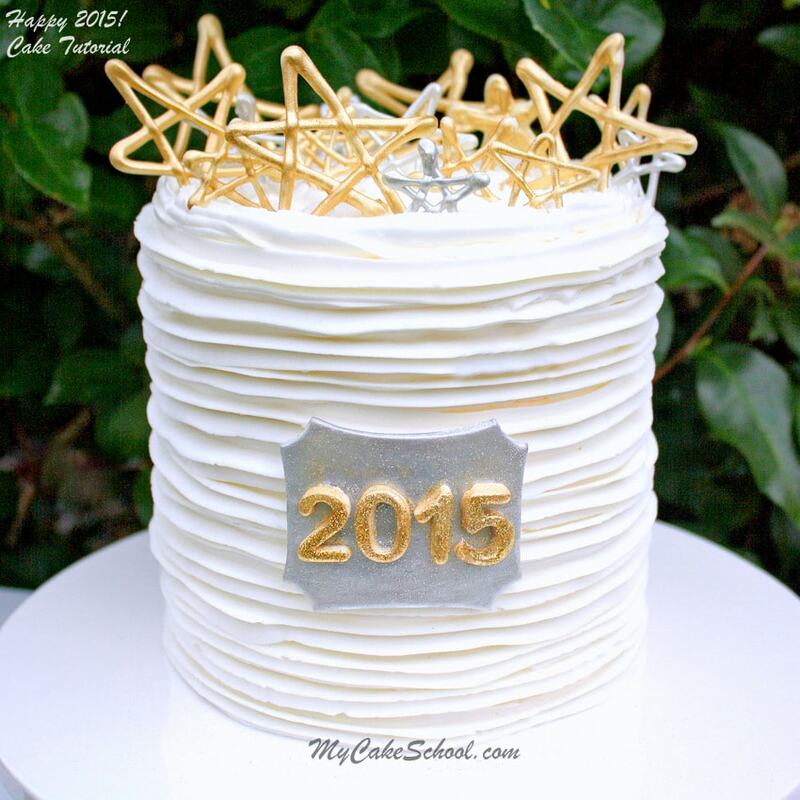 The new year is almost here and I wanted to share a festive, quick & easy cake tutorial with you! First, I truly love the look of piped buttercream on cakes. In fact, the more piping, the better! 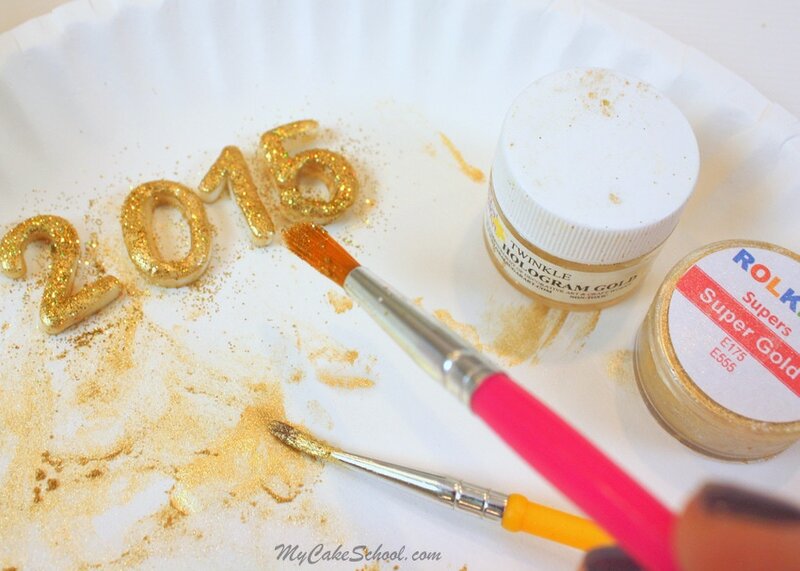 It’s often a quicker option than applying frosting with a completely smooth finish, and I love the dressed up feel. First, I crumb coated my cake with a thin layer of buttercream. 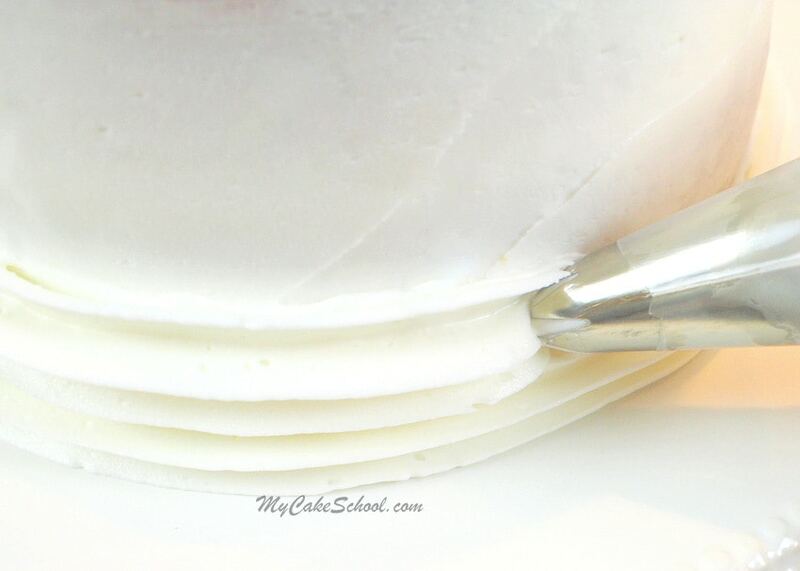 Then, starting from the bottom of the cake, I piped long strands of buttercream with my 2D tip. If you have a turntable, it makes things a bit easier so that you can spin as you pipe. 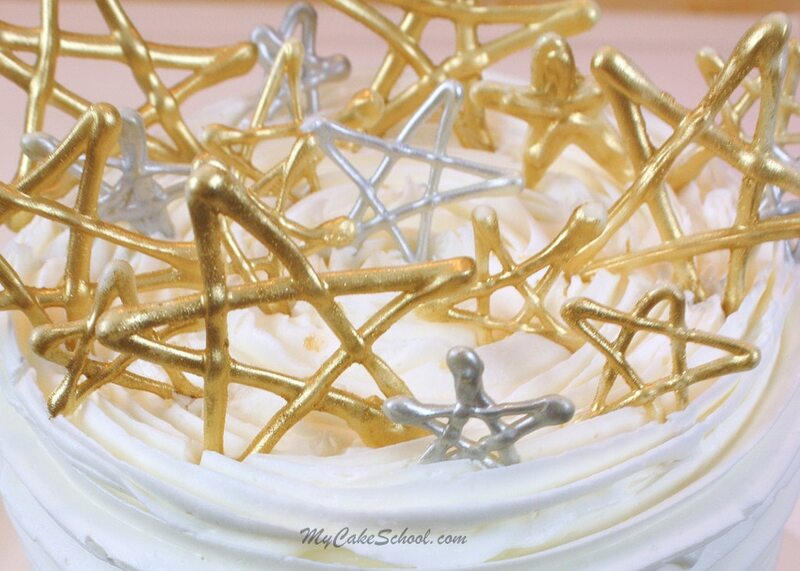 We used this recipe but any frosting that holds it’s shape nicely to piping would work well. Still going! I love the effect. Here is a shot of the back of the cake. 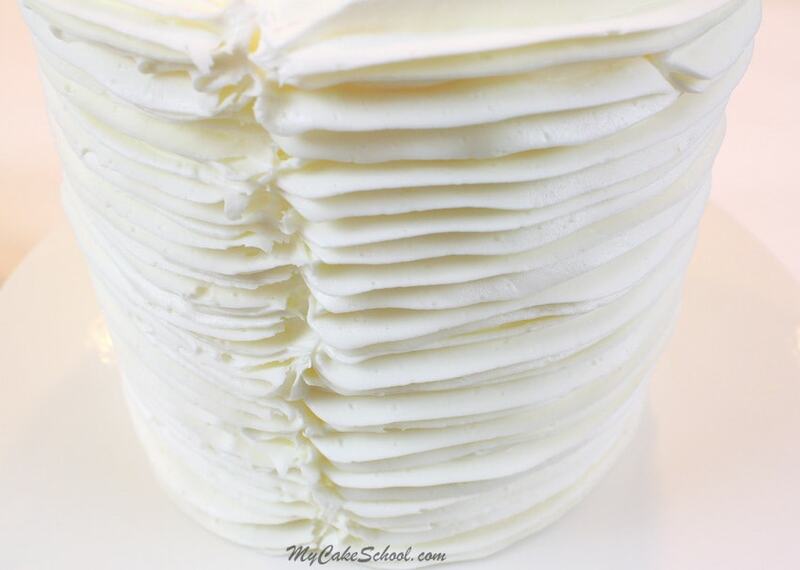 I stopped and started my bands of frosting in the same spot, creating a seam all the way down. If the seam bothers you, you can pipe a vertical line of small rosettes, or add sugar pearl “buttons”, but I like the look just as it is ;0). The piped frosting was finished in just a matter of about 5-10 minutes! Next, I created a fondant plaque. We actually used a plaque cookie cutter for this. If you don’t have one & would like this same shape, you can use a rectangular cutter and then snip away the corners with a small circle cutter or piping tip. My fondant numbers were cut using a Wilton cutter set. 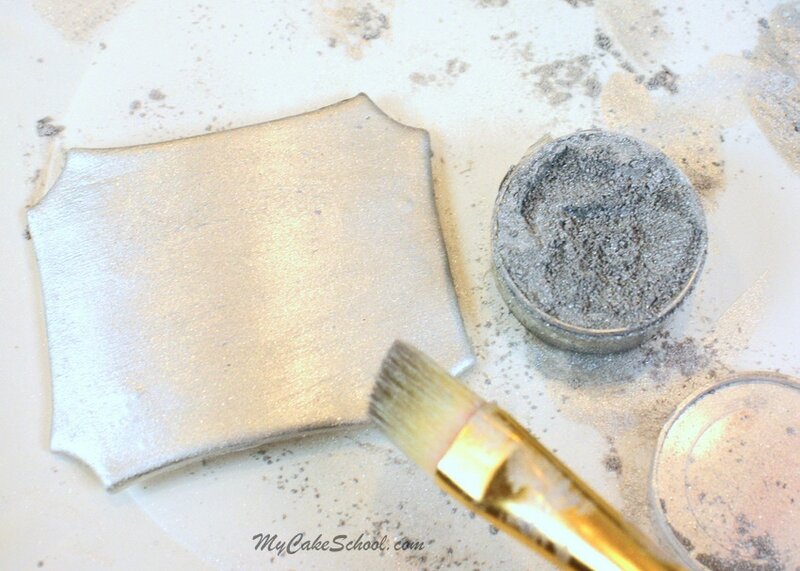 I dusted with gold luster dust (Rolkem Super Gold) & sparkled with hologram twinkle dust. Now for the stars! I melted white candy coating/bark coating and spooned it into a disposable piping bag (with the tip snipped away). 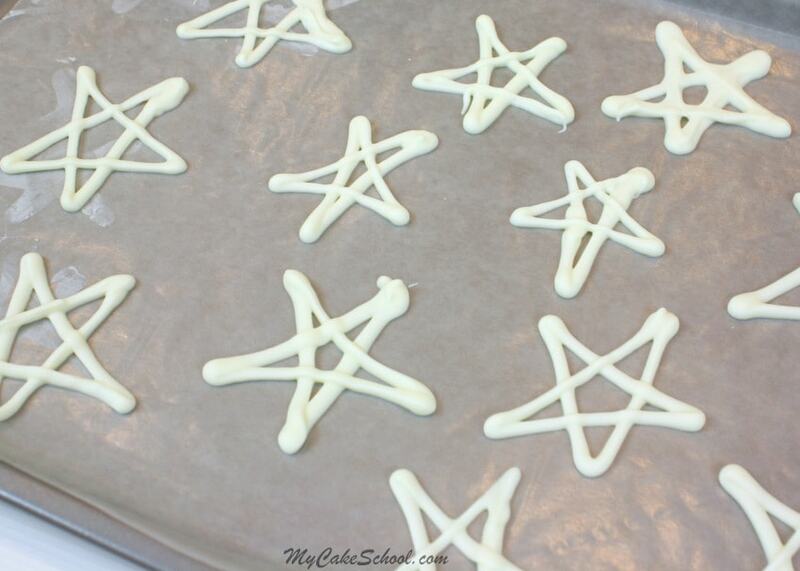 Then, I piped lots of stars onto a waxed paper lined cookie sheet. I chilled in the freezer for about 5 minutes so that they would set up much more quickly and could be easily handled. And that’s all there is to it! I love the sophisticated look of this cake, and I especially love that it came together so quickly! 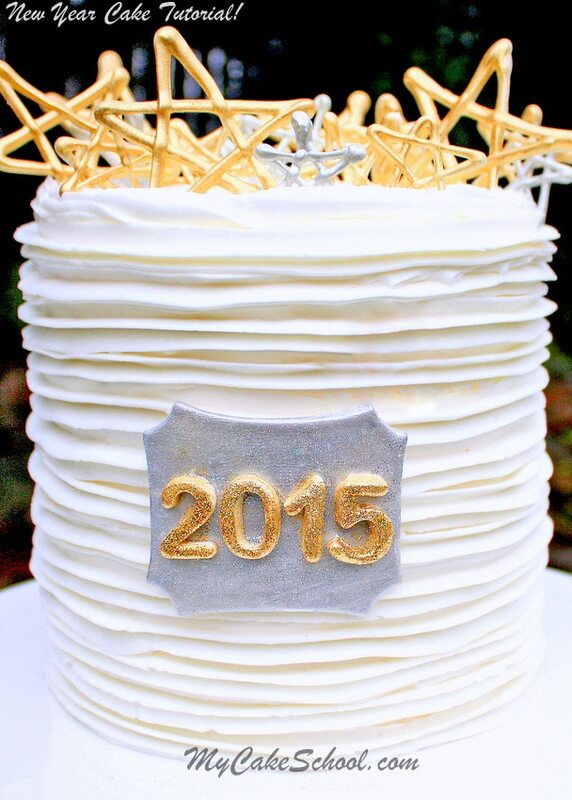 Looking for more New Year’s Eve cake inspiration? 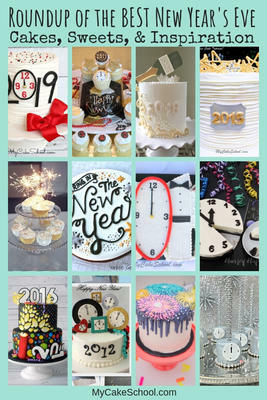 Don’t miss our full roundup of the BEST New Year’s Eve Cakes, Cupcakes, Tutorials, and Ideas! Hi Thanks for sharing and can you please add the link to order the dusters. happy new year!!!!!!!!!!!! Loved the cake thanks. Just used this technique for an 8″x4″ dark chocolate cake. 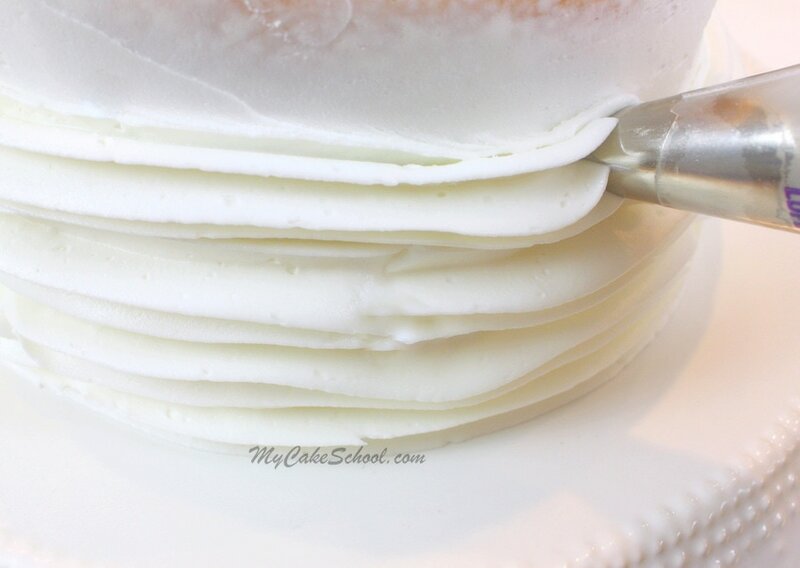 I used 1M and piped the horizontal bands to the top, leaving the top of the cake flat and smooth. I actually used the “seam” (shown above in the back), as the front of my cake and piped in small 1M star where each line met. I then put light green sixlets in the center of each star. This was a great, quick, design for a Manly Man Cake. p.s. Received my subscription as a Birthday Gift! LOVE IT! Were you able to find the Rolkum in the US, if so do you mind sharing! I’ve been looking for a supplier in the States for a while now with no success. Thanks!